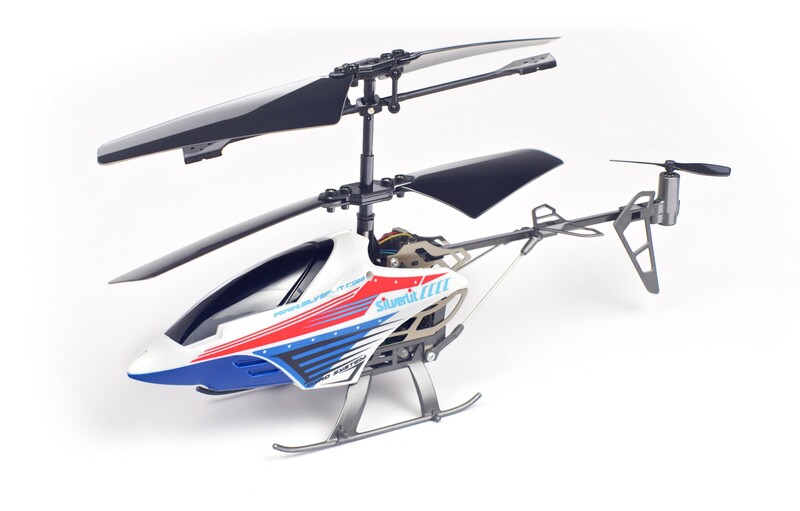 The Silverlit Sky Thunderbird is a 3-channel ready-to-fly 2.4 GHz radio control helicopter, suitable for operation indoors and outdoors. 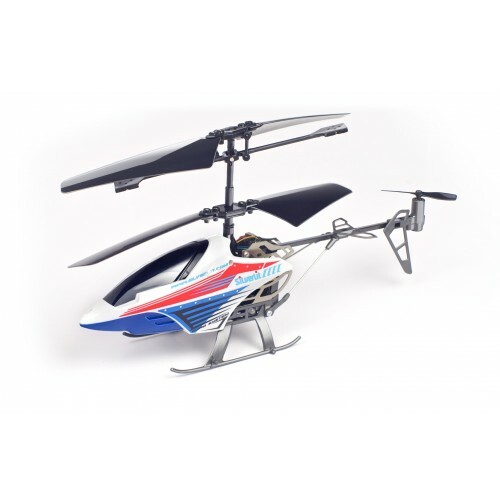 Easy and fun to fly, its contra rotating rotors design, combined with a sophisticated electronic heading lock gyro system, provide superb directional stability. Remarkably robust with an advanced alloy three channel that offers the best possible build quality and specification available. Styled to appeal to all ages, with an incredibly smooth and responsive performance. Lightweight lithium polymer battery, flightime of up to 10 mins, recharges direct from the transmitter in less than 30 mins.